NEW KENT COUNTY, Va. (WTVR) -- Back in January of 2015, Kevin Kimmel had parked his truck at a truck stop in New Kent County late at night. That's when Kimmel spotted an RV just a few spots over. "An older RV, black curtains and in my world that's not natural," said Kimmel. Kimmel instantly became suspicious after seeing a man knock on the door and step inside. Kimmel then saw the RV rock back and forth, and shortly after he saw a young woman look out one of the windows in distress. "So I called police and within five minutes there were four cars there," he said. Officers later arrested an Iowa couple who had abducted the woman and forced her into prostitution. Now, nearly two years later, Kimmel is traveling around the country speaking out to fight against human trafficking with Truckers Against Trafficking. "The more informed I got, the more I was interested in becoming part of the solution," said Kimmel. 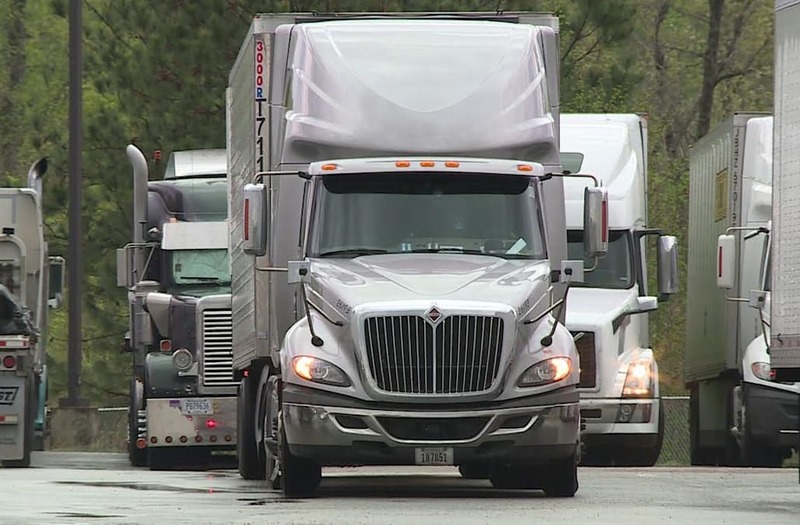 Kimmel talks to truckers about what sorts of things to look out for and how to be aware about what's going on while out on the road, as one phone call could save a life. "That person is alive today and two really bad people are where they're supposed to be," said Kimmel. "Do the right thing, if you see something say something."